Nesa accepts instructions across all of Chamber’s practice areas. Nesa has experience in Immigration, Family and Civil, and has been successful in obtaining judgement for numerous cases. Nesa welcomes all types of instructions within her expertise and is a Junior Junior Barrister on the Attorney General’s civil panel. Nesa is instructed on a full range of Immigration matters. Nesa has experience in drafting various applications for asylum and human rights claims, Judicial Review claims, and grounds of appeal at all stages of an Immigration matter, including drafting grounds of appeal under Human Rights for the ECHR. Nesa has got experience in the First Tier Tribunal, Upper Tribunal and Oral permission for Judicial Review hearings. She is regularly instructed by the Home Office to appear on their behalf in First Tier Tribunal hearings. Nesa is regularly instructed in a range of family matters in public and private proceedings. She has experience in child care proceedings and has acted on behalf of the local authority. She is regularly instructed in children matters and has dealt with disputes relating to residence, contact, parental responsibility and relocation in private law proceedings. Prior to qualifying, Nesa was a Litigation Executive in a solicitor’s firm; therefore, she has extensive knowledge and experience in civil litigation matters. Nesa has experience in Landlord & Tenant claims, Possession Claims, Planning court claims, fast track claims, orders for sale, applications for injunctions, applications to set aside statutory demands, applications for bankruptcy orders, personal injury matters, Stage 3 hearings, Infant Approval hearings, road traffic matters on the small claims track and various civil applications. Nesa has been successful in an application for a last-minute freezing injunction which was granted by the High Court. Nesa also has experience in drafting Particulars of Claim, Defences, Reply and Defence to Counterclaims and Requests for Further Information. 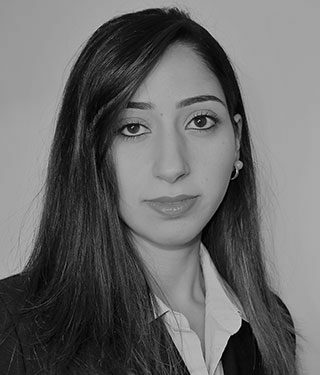 Since qualifying, Nesa is a Junior Junior Barrister on the Attorney General’s civil panel and receives regular instructions from the Government Legal Department, with continuous instructions on the Grenfell Inquiry.